Are Tim Tebow Laws a Touchdown for Homeschool Students? Who is Tim Tebow and why does this law carry his name? Tebow’s record in Florida persuaded some states to give home-schoolers the same kind of athletic opportunities as Tebow had in high school, but other states still leave the decision up to the local school district. Predictably, cheers arise on the homeschooling side of the bleachers regarding Tim Tebow Laws. It is a fact that funding for U.S. public schools is generally tied to property taxes. If a homeschool family pays property taxes, they are, indeed, paying to support the public school system even though their children do not attend. It’s easily understandable that homeschool families might believe that paying property taxes should allow them access to the interscholastic athletics portion of the public education system along with everyone else. Which states have said YES? Maryland – allows private schools with homeschool athletes to compete against public schools. 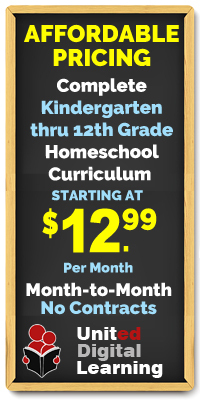 Beyond the traditional homeschool, there is a growing trend toward school-at-home. Online schools are a great option for student athletes. An accredited school will offer academics leading to a diploma as well as monitor eligibility requirements for athletic pursuits. The flexibility of online school allows learning to fit with practice and tournament schedules. One such school is International Virtual Learning Academy, an accredited private online school staffed by certified and highly qualified teachers. IVLA also boasts NCAA approval, meaning student athletes seeking eligibility for participation in the National Collegiate Athletics Association can take courses meeting academic requirements at IVLA. IVLA has been instrumental in the success of student athletes such as competitive golfer Ashley Gilliam who recently placed third in national golf finals. Homeschool and school-at-home programs are growing exponentially with as many as 2 million children receiving most or all of their education at home. As more and more families opt for non-traditional means of education, there will undoubtedly be more opportunities for students from all educational backgrounds to pursue their dreams. To learn more about the homeschool state laws in your state click here.